The trick is in the creative way this bouquet is arranged, the treat is a bold statement of color. 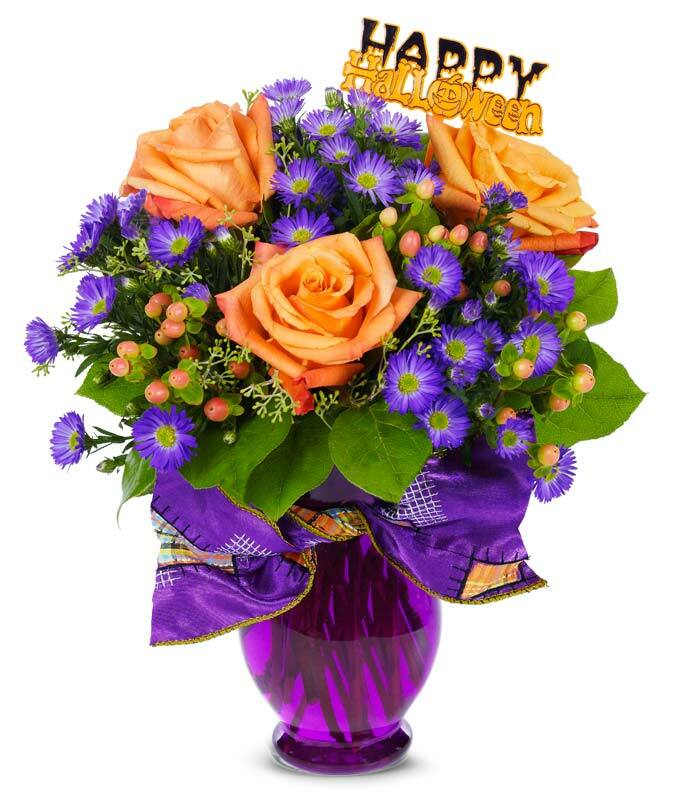 Bright orange roses and purple Monte Casino blooms are accented by playful hypericum in a purple passion vase adorned with a Halloween ribbon and pick. Measures 12"H by 9"L.